You have spoken and the power is now in your hands. A few weeks ago we launched Project NU2, the official Vancouver Canucks hunt for a new entrance song. We laid out criteria for what the team is looking for in a fresh tune and then opened the floor to you, our beloved fans. We received 2,853 submissions and the range of music was phenomenal; from The Who, Sam Roberts, April Wine and Toby Mac to Queen, The Hives, The Wallflowers and the Cobra Skulls, there was something for everyone – and yet the debate rages on. After carefully sifting through the results (well, not me personally, I’d play Foo Fighters every game as the intro, goal song and between periods!) we’ve gathered the top six songs, as determined by you, and we’re putting it to another vote. Below you’ll find the top six songs, the one that receives the most votes will be played as the Canucks entrance music for two upcoming home games. That’s right, you have the final say. Watch a preview of what all six songs would sound like, then go ahead and vote. Tell your friends to vote. Get them to tell their friends to vote. And if the winning song ushers the Canucks onto the ice in style and they go on to win in impressive fashion, who knows, maybe it stays in rotation for the rest of the season. Again, nothing is cemented as the Canucks entrance song goes. We’re dating some different songs, if you will. Some nights it may be spinach-in-the-teeth awkward, love a first sight other games. Just enjoy the ride. 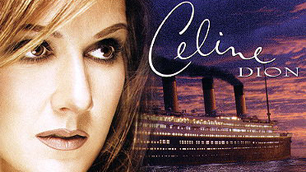 Oh and to whoever sent in Celine Dion’s My Heart Will Go On as an entrance song suggestion: well played. I don’t quite think it would be a good fit, but that shouldn’t take anything away from the eternal love between Jack and Rose. I mean have opposites ever attracted so well? And she never stopped loving him. Sorry, what were we talking about? Music. Right.